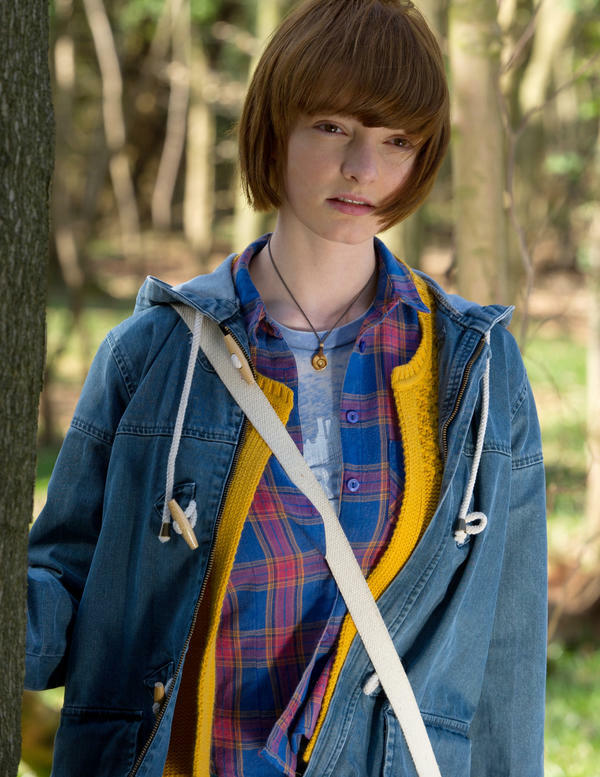 Despite being only 19 years old, Dakota Blue Richards has already had a long and varied acting career – one which began when she memorably played the lead role in 2007’s cinematic adaptation of The Golden Compass. Whilst the remaining two parts of Phillip Pullman’s His Dark Materials trilogy were unfortunately never made, Dakota has continued to work steadily in film and television – most notably joining the cast of Skins towards the end of its successful six-year run. 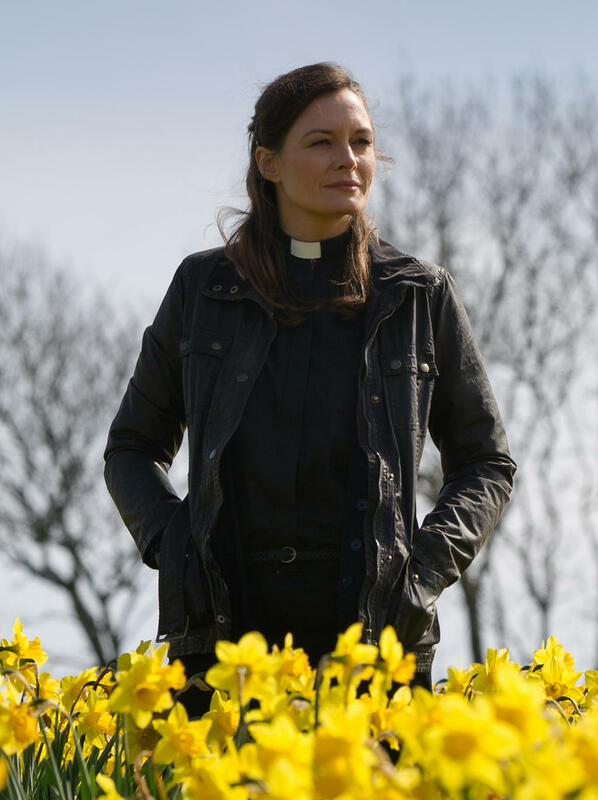 In her latest film, The Fold, Dakota plays the daughter of an Anglican priest (Catherine McCormack) who is having a crisis of faith after the death of her other child. Ahead of The Fold’s release in cinemas and on VOD, we spoke to Dakota about her role in the film. The Fold features both a first time director (John Jencks) and a first time writer (Poppy Cogan). What was it like to work on a project where you were a veteran on the set? It’s always interesting working with people at the start of their career, because they have such an enthusiasm for what they’re doing, and that was really evident with John. It was clear that he really cared about the film, and that he wanted to make it as good as he possibly could. He just had this real excitement for the project, which is sometimes lost along the way when you’ve been doing it for a long time. It made everyone else excited as well. What was great was that it made me think about my character and what I was bringing to the performance in a different way. John wouldn’t come in and say: “We’re going to do this, this and this”. He was always open to my ideas and Catherine’s ideas. Everybody could put what they thought out there and he’d take that, think about it, and come back with a properly formed way of going about that day’s scenes. Has your approach to acting changed over the years you’ve been doing it? I think you get into habits, which can be good and can be bad. Because everyone has their own method of working, it can become easy to approach everything in the same way. What’s nice is having the opportunity to think about things differently, and to be challenged by how other people approach things when they haven’t been doing it long enough to fall into patterns. How did you build a believable mother-daughter relationship with Catherine McCormack? Did you have to get quite close? Our relationship as a mother and daughter in the film is fairly distant. What I found hard was that I’ve never had that distance with my own mother. I’ve always been very close to her, so playing that level of discomfort was more challenging than building a relationship would have been. Catherine is lovely and brilliant at what she does, so it was great having her around. If anything, I found it difficult trying to act like I didn’t get on with her. Your character Eloise exists primarily in relation to her mother’s journey. How do you make a supporting character compelling whilst serving the story? It’s not so much about how big a role is or how many lines you have; rather it’s how interesting the character is in their own right and how they influence the plot. Quite often when you see things that are badly written there are major characters who don’t actually affect the story at all. What’s nice about The Fold is that even though it’s a smaller role, I see Eloise as being the light in the gloom of her mother’s depression and grief. She’s trying to be strong for her family and help them through it. She plays a strong role within the film regardless of how often you see her. One of the film’s key scenes revolves around you playing the violin. Can you actually play one in real life? I played when I was a child, very briefly, which possibly helped me a little bit. To be honest it was such a short shoot that we didn’t get a chance to learn the instruments that well. We had a couple of lessons but the violin is one of the most complicated instruments, especially if you’re not a musician. There was just no way that I was going to actually become good at it, so we had a double. Whenever you can’t see my face it’s not me. That’s a good thing because you definitely wouldn’t want to see me playing. I was curious about your experience making The Golden Compass. With some distance from the film, what is it like looking back? It doesn’t really feel like that long ago. It’s funny actually because if I think about college, which was a couple of years ago, that feels like ages, but The Golden Compass still seems fairly recent even though it wasn’t. It was really just the best experience I could have had as a 12 year old. It was perfect and fun and I loved every minute of it. I guess a lot of people would have said it would be a dream come true, something they’d wanted for a really long time, but I just sort of fell into it. I’d never really wanted to act before then so I had no preconceptions, and that was a really nice way to start my career. I felt really looked after by the producers and the people I was working with, and the other actors were lovely and taught me so much. It was such a positive experience, and there was so much I could take away from it. As an introduction to filmmaking it must have been quite overwhelming. It was. But I think it was good that it was such a challenging job to do, with so much CGI and being produced on such a scale. It was a really long process – even though the official shoot was about six months we were still filming a month before it was released. Having that as a first experience meant that I jumped all sorts of barriers very early on, so now if I get a job that has a lot of green screen, say, I’m not going to freak out and get daunted because I’m very used to it. It’s just a shame that you didn’t get a chance to make the second two. The books are terrific, and they only get better. Yeah, it is a shame. It’s one of those things that I’ve come to terms with. I was very upset about it at the time. Like you say, the books are brilliant and I really wanted to see it through and do them justice, but then I can also completely understand the reasons why they didn’t make them. Looking at it positively, it means that I’ve been able to move on, and I did jobs at the time that maybe I wouldn’t have been able to otherwise. I’ve been able to move away from the character in the way that some of the people that have done big trilogies or long series haven’t. They get put in a box: the Harry Potter kids or the Narnia kids. To an extent I’ll always be the Golden Compass girl, which I don’t have a problem with, but people have been able to see me in other roles too. I feel more established in my own right than I might have done if we’d made all of them.